Middle and high school media literacy worksheets. 9th grade media literacy. 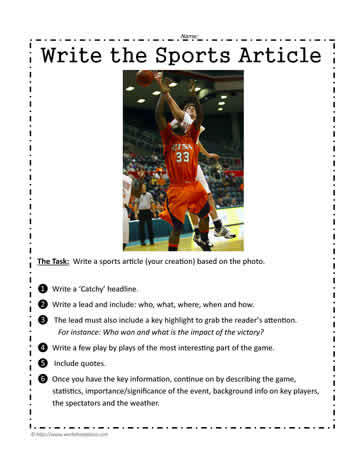 Write a sports article for the news based on the photograph.